Tropitone® Accessory, Bar, Chat, Coffee, Counter, and Dining Tables are perfect for setting the stage and providing service. 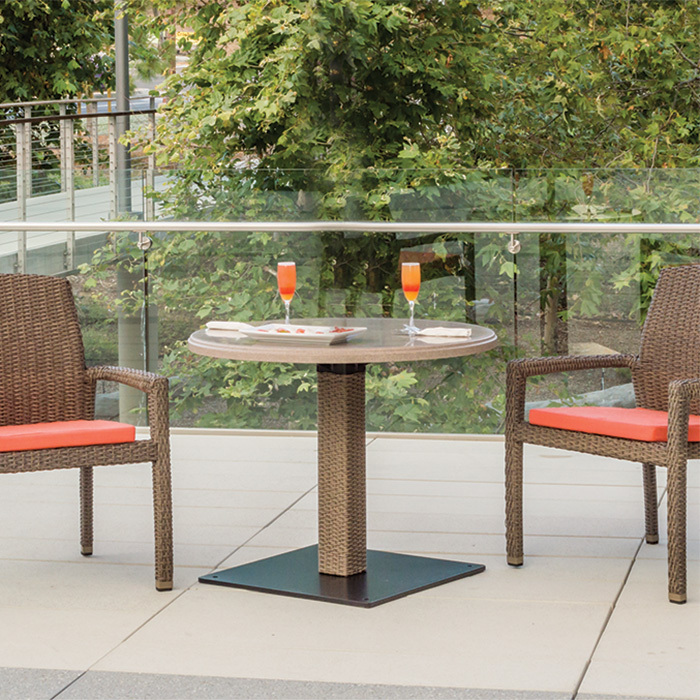 While hand-finished table tops add visual interest and details to the patio set, table bases provide the stability and durability that make Tropitone® Tables endure. Made of powder-coated aluminum or TropiKane® Weave, Tropitone® Table Bases are available as a pedestal or with four legs. Select a top to match a specific table base for a truly unique outdoor environment.